Works pretty good. 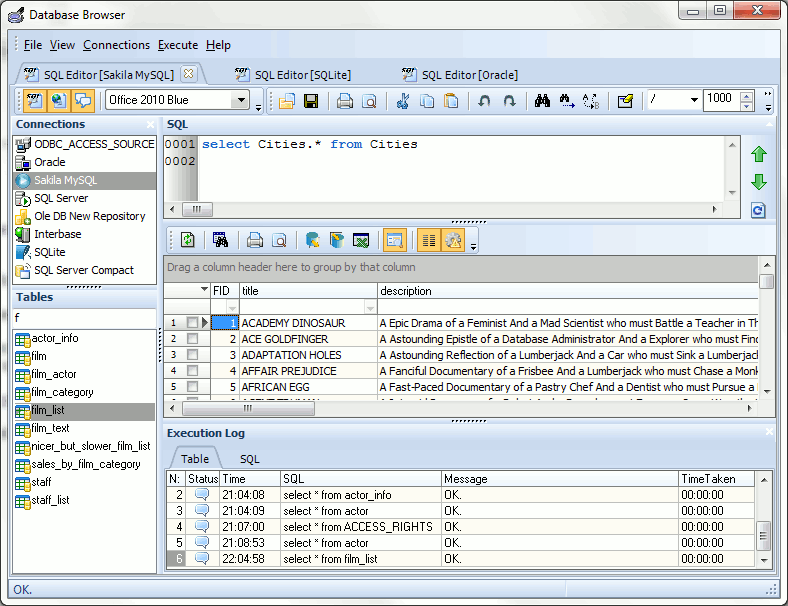 Has the best SQL-Server connect dialogue I have ever seen. Wish it would name the connection by the DB that you select. The scrolling and performance on large tables needs work. The rather strange default green interface can thankfully be changed in the preferences menu.